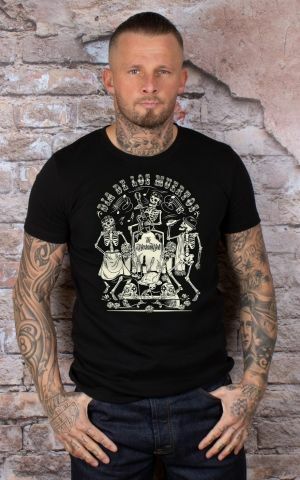 Mexico Mob has shown itself to produce great rock shirts with eccentric designs. 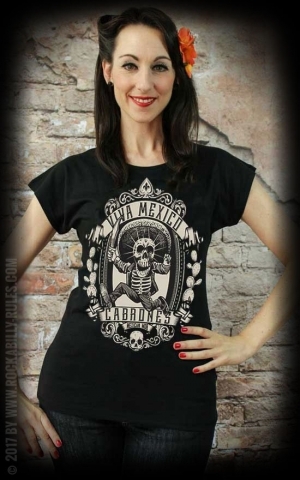 The company headquarters of Mexican Bob are in Berlin but the unmistakable designs on the T-shirts are all created by Mexican artists and designers. 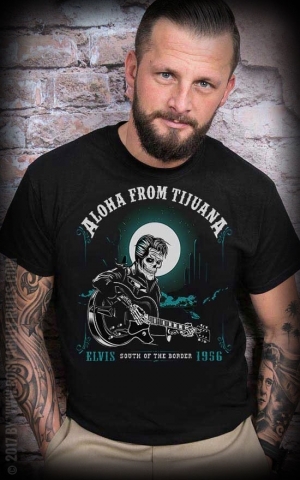 At Mexican Mob, rockabilly, street art and underground art come together in unique, high-quality tops for men and women who see rock ?n? 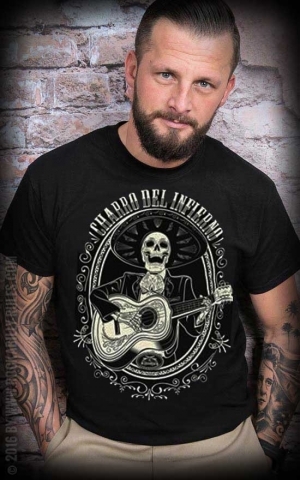 roll not only as music but a way of life. 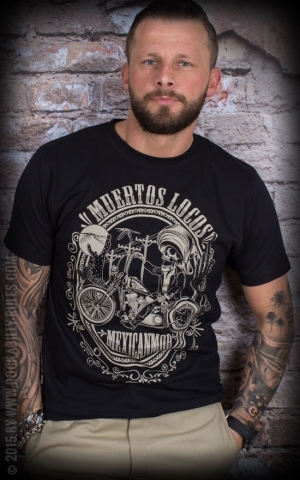 And the high quality of the T-shirts means you?ll have a job wearing them out.Skulls are the main motif of the collection at Mexican Mob, and you probably won?t have ever seen them like this before. 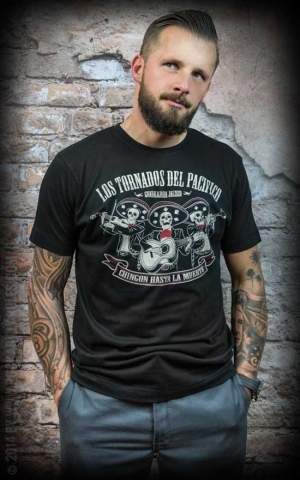 Make your tattoos, boots and denims really stand out with Mexican Mob T-shirts and their playful black, white and red designs. 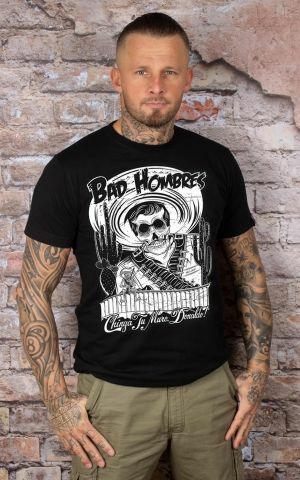 They go perfectly with 1950s vintage fashion and every day outfits which stray from the tediousness of mainstream. 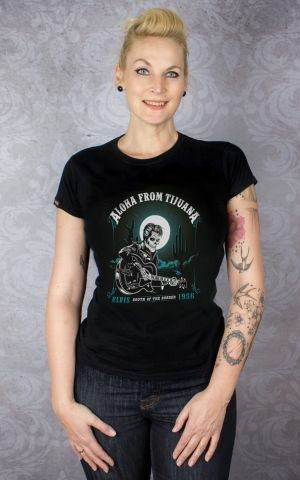 And for the pin up girls and rockabellas you can get the same designs on girly shirts in a feminine cut. 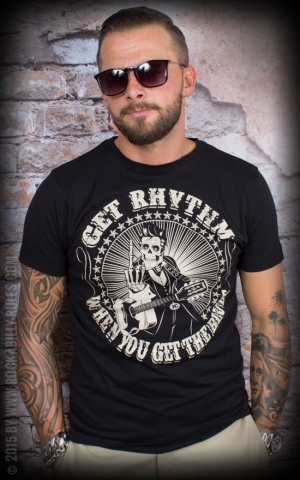 These tops are perfect when you?re in a rush ? 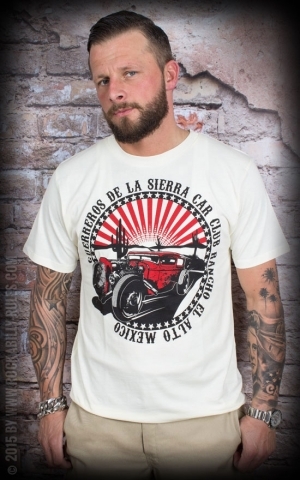 just slip it on and you?re good to go.